Neuroscientists have identified Executive Functions (EF) as the skills and processes persons use to engage in purposeful, goal-directed, and future-oriented behaviors. This chapter will consider the correlation between new research about executive functions and implications for educators in nursery, primary, secondary and post-secondary school settings. The first part of the chapter will provide a synthesis of what EF are and how research about the brain is useful for educators. 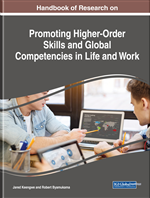 The second part of the chapter will provide recommendations for educators provided in Boosting Executive Skills in the Classroom: A Practical Guide for Educators as well as other resources available for educators intending to improve EF skills in developing children, preparing them for greater success in college and in the workforce. This chapter will address how educators can increase the successful development of executive functioning (EF) skills throughout elementary and secondary education settings, leading to greater independence, social application to varied settings and self-regulation in college and throughout adulthood. We draw on current research regarding practical solutions to support students in their development of EF skills (Cooper-Kahn & Foster, 2013) to discuss ways that students can develop skills of self-regulation, independence, and social application to different settings. We provide a review of literature on the growing body of research that has been conducted to reveal the explicit ways that students can learn how to increase their EF skills via explicit, scaffolded instruction and a gradual-release of support as students become more independent. Additionally, we consider the implications that EF skills have on the work that is done in the field of education. Zelazo, Blair & Willoughby (2016) provide an in-depth answer to the fundamental question of, “Why is it necessary to explicitly model and build student’s executive functioning skills when they are in elementary and secondary school settings so that they are prepared to live resilient, successful, and independent lives as adults?” The practical application of the work that Cooper-Kahn & Foster (2013) provide to educators, using a four-quadrant model, to ensure student success and implementation of regulatory skills is analyzed and described in a manner that ensures students find success as they transition to college and adulthood. Finally, we explore the impact that EF skills may have on various student populations such as students from varied backgrounds and different learning needs to include students with disabilities and exceptionalities.